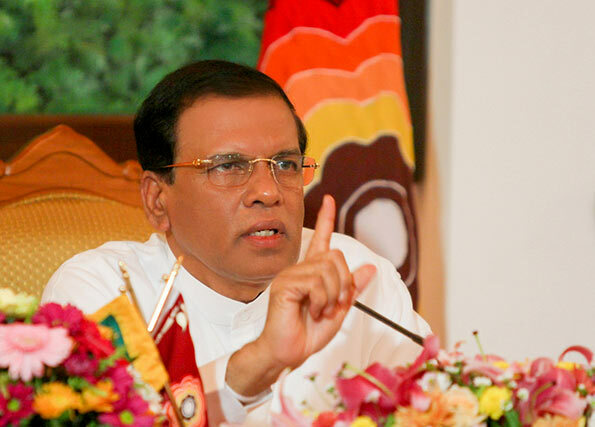 President Maithripala Sirisena has instructed Ministers to cancel all foreign tours for one month and stay in the country to respond to public demands, it is learnt. Accordingly, the President asked the Ministers to do so at the parliamentary group meeting conducted on Monday. He had said public protests prevailed in the country over VAT hike and others among them, the Ministers should remain in the country to explain matters to the people. best thing sirisena has come up with since becoming president. he ought to impound all passports of mps ministers and heads of departments. Prohibit in engaging in unilateral declarations. File personal reports on their visits that include private engagements. Ranil ought to get the speaker to maintain an attendance register to include arriv al and departure times. After all they are paid to attend parliament and not to go on shopping spree with thier families. That is a good move but does not go far enough. Every Minister, Deputy Minister, State Minister, member of Parliament, and all Public Servants should submit an application to a Committee stating why, where, when and how the tax-paying public will be benefited by the overseas visit. They can travel once the Committee approves travel plans. The problem is the Committee. The political parties will nominate their bum-suckers to this Committee and that’s the end of it. I suggest that he Committee be appointed by Civic Groups who are not affiliated to any political party. So if these dumb ministers stop going on foreign tours supported by the revenue received by the hard working middle east workers, foreign aid and loans what they going to do?